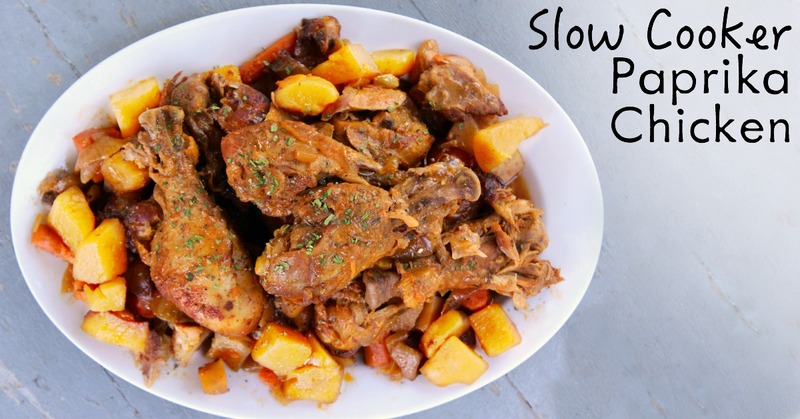 This Slow Cooker Chicken Paprika isn't your normal type of dump-it-in-the-crockpot recipe. 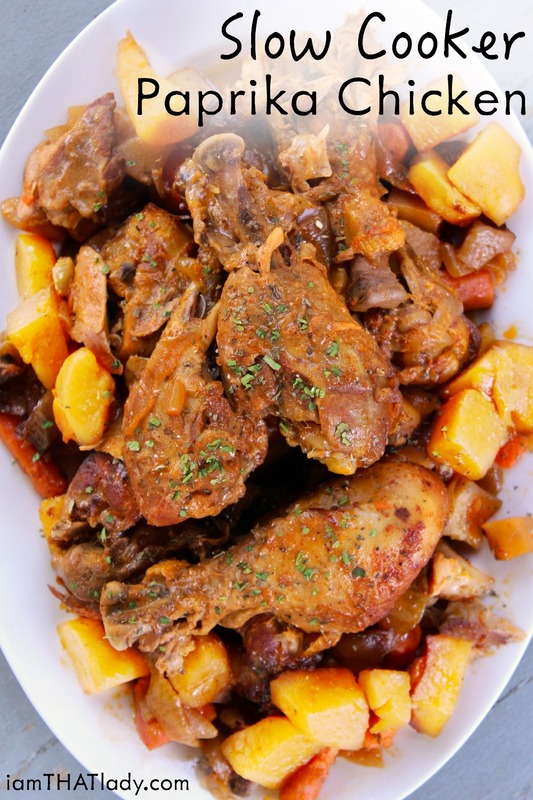 Fall off the bone drumsticks, potatoes, carrots and a sour cream gravy – this recipe is PACKED with flavors and texture. It's a new hit in our house! Like most “dump” recipes, it really doesn't get much easier than this. Just throw the ingredients in, turn it on and get on with your day. This meal has the sides and vegetables mixed right in – so it's truly a one-dish meal. 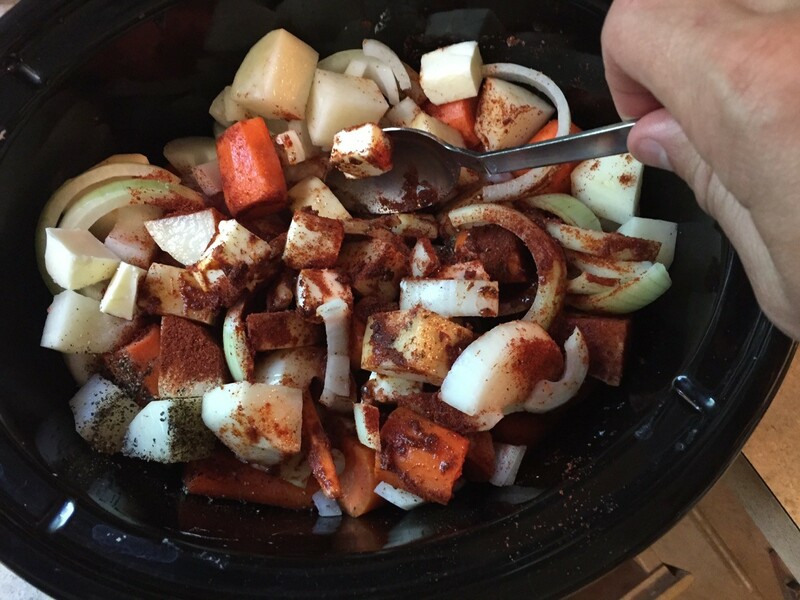 Peel and chop up the carrots to your liking, slice the onions and toss it all in the slow cooker. It doesn't even matter what order you layer the ingredients. Once you add the spices, stir everything together so that the spices and butter are evenly distributed. 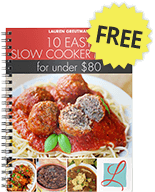 Then just turn your slow cooker on. When its done and ready to eat, simply scoop out the chicken and the vegetables with a slotted spoon. With the liquid left in the crockpot, add 1/4 cup of sour cream and blend with a whisk. The sour cream cuts the acidity of the sauce and makes it a bit more creamy, almost like a paprika flavored gravy. Super good. Our family enjoyed this dish. I added fresh minced garlic and used 3 tsp worchestershire. 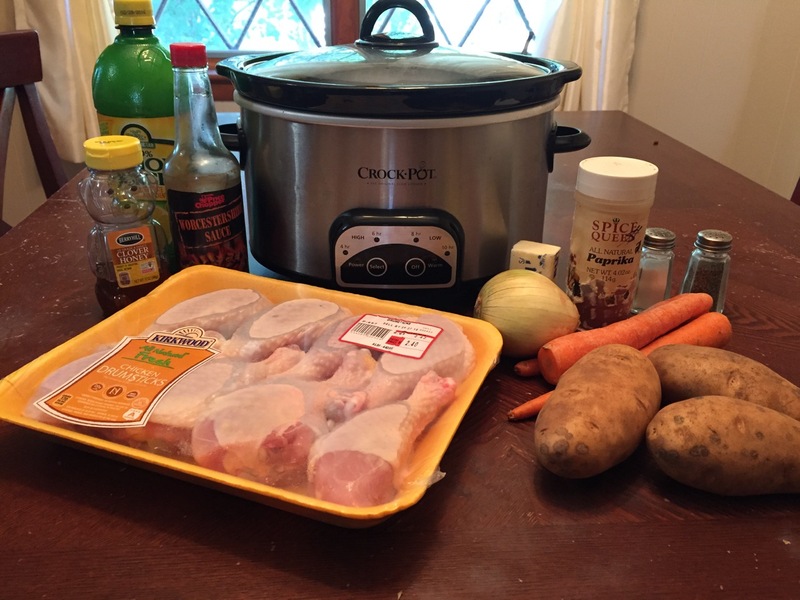 I cooked in the slow cooker for 4 hours on high. I removed all liquid from slow cooker into a mixing bowl. Then mixed and added sour cream gradually. This one is a keeper. Thank you! This recipe sounds fantastic! However, I have some family members that will not eat sour cream and can taste it even in a small amount. Would heavy cream work in the same way (but perhaps less of it)? I made this tonight and my family loved it. I served it right from the crock pot and did not use the sour cream at all. I always ask my family, “Is this a ‘make again’?” and they all said “Yes!”. Woohoo! I’ve already packaged up the leftovers for my husband’s lunch tomorrow. My grandma made this in the crockpot today (I prepped all the ingredients for her). It was sooooooo delicious. We traded the regular potatoes for sweet potatoes and she couldn’t get the lemon juice open to add it, but it was heavenly! Thank you for this recipe. Could you not use boneless , skinless chicken?